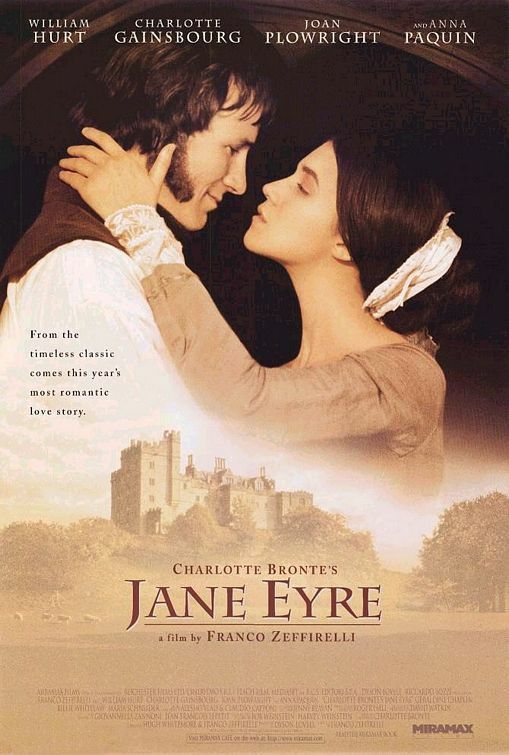 Remember a while back when I raved about Zeffirelli’s film of Jane Eyre? I mentioned at the time that I had requested the 2011 film by Cary Fukunaga from the library and was eagerly awaiting its arrival. Well it came, and I set out to watch it, with a surprisingly willing husband in tow. I don’t know what I was expecting. Fantastic, meticulously accurate costumes? Ramped up sexual overtones? A well-developed St. John character? At least the latter seemed a reasonable hope, considering that the actor playing St. John received a co-star’s billing. Alas, whatever else the film had to offer, its sadly stilted dialogue (a fault that seems to plague most historical literary dramas of recent years, case in point, the most recent Pride and Prejudice fiasco) and jerky scene-shifting made it utterly impossible to watch. We turned it off about a third of the way through and could never bring ourselves to try again. For the record, I actually liked the costumes, but only from an aesthetic point of view. They captured the edginess of the 1840s, but more in spirit than historical or literary accuracy. 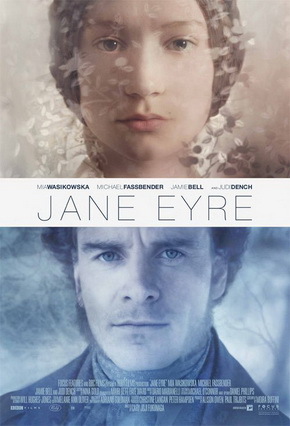 The title of this post is a very bad pun, attempting to indicate that the film version of Jane Eyre I watched last night was surprisingly pleasant, i.e. less than erring. I know, I know. You’re groaning. But seriously, I really did enjoy Franco Zeffirelli’s 1996 retelling of Charlotte Brontë’s 1847 novel. Lush cinematography more than compensated for the occasionally wooden acting and stylized costumes. And although it’s been a few years since I last read the book, the film seemed to cover every important point while still coming in under two hours. Well done! I also recall enjoying the 2006 Masterpiece Theatre miniseries of Jane Eyre, in particular for its detailed attention to the book. It was also refreshing to see actors who were genuinely off beat in their appearances — not to say that the stars were unpleasant to look at, but neither were they the usual “beautiful people” attempting to look plain for the roles. Like many productions from that era, the 1983 miniseries of Jane Eyre was completely unwatchable. If you ask me. Which no one did. And while I will always have a great fondness for the 1943 film, I’m the first to admit it bears little resemblance to the novel. 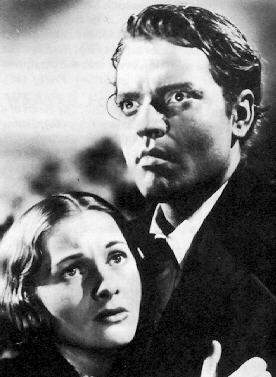 And, as was his wont, Orson Welles grudgingly plays Rochester for the first half of the film only. By the end, he’s all Welles. 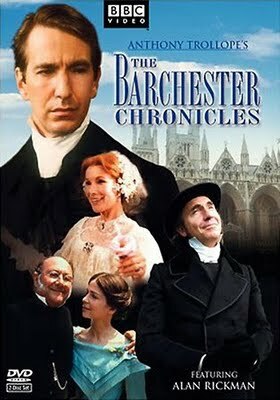 My one complaint with every adaptation to date (pending review of the 2011 version, which I just put on hold at the library) is that none of them approaches what I took to be the central theme of the book: a debate between Charlotte’s Calvinist father and the burgeoning Romantic period in literature with its emphasis on love as the universal redeemer. As always, the Calvinists are swept under the rug. Kirk Douglas saves an entire wagon train and a US Army fort by sleeping with an Indian. Naturally the Indian was played by an Italian. The bad guys were Walter Matthau and Lon Chaney, Jr. And Kirk Douglas proved that he always looks a little bit like a pirate, no matter what he wears. When I was just a little girl, my maternal grandfather — whose own life is the stuff of storybooks — began researching our family history. He traced the line back to the Hite family of Bell Grove Plantation. In the end, it turns out we may not have any real Hite blood at all. But I seem to recall he did find a few other remarkable characters dangling from the family tree. Including notorious outlaw brothers Jesse and Frank James. For someone who is likely kin to the James brothers, I’ve displayed remarkably little interest in their exploits. I don’t really know what they did to become WANTED. Or even what became of them after they were hunted down. But tonight I settled in with my latest crocheted collar project and watched Henry Fonda, John Carradine, Henry Hull, Jackie Cooper, and Gene Tierney in The Return of Frank James. If the all-star cast weren’t enough to entice you, it was directed by Fritz Lang. The film, made in 1940, was impeccable. And I learned quite a lot about the James legend (not to be confused with the facts of the case). Perhaps it was too impeccable. I’ve been on a horse opera kick lately, watching lots of early B westerns and glorying in every dusty, over-acted minute. The Return of Frank James was a mite too polished. It felt more like Twelve Angry Men than Stagecoach. Not that that’s a bad thing, just not exactly what I was expecting.